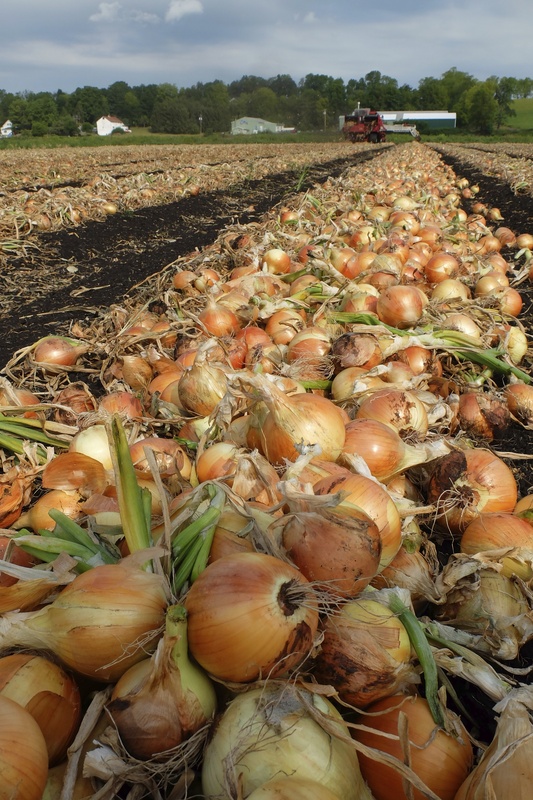 No smell announces the preparation of a meal better than the rich, sweet aroma of sautéing onions. It’s a humble staple of my pantry that I couldn’t do without. Luckily, I live in an area famous for its onions. I keep a special pair of blue swim goggles in my kitchen drawer for chopping the extremely pungent variety that grow in our region of New York State. 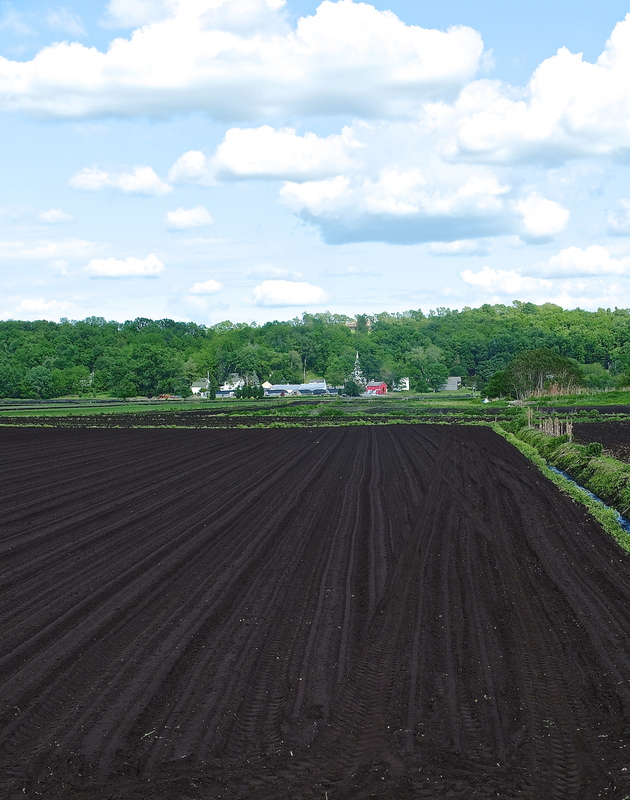 Known as the Black Dirt, the fertile soil—a result of an ancient glacial lake—is rich in organic matter and sulfur. 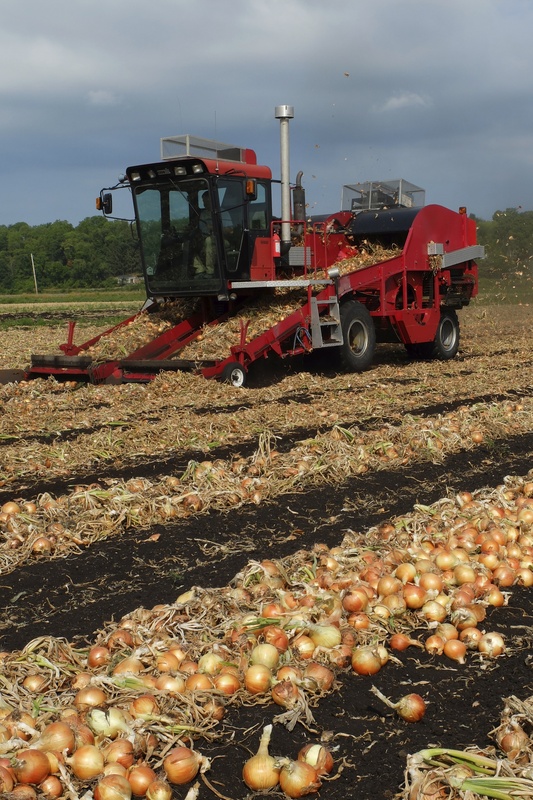 The latter gives our local onions their intense flavor and earns them a spot in farmer’s markets and supermarkets all over the Northeast. 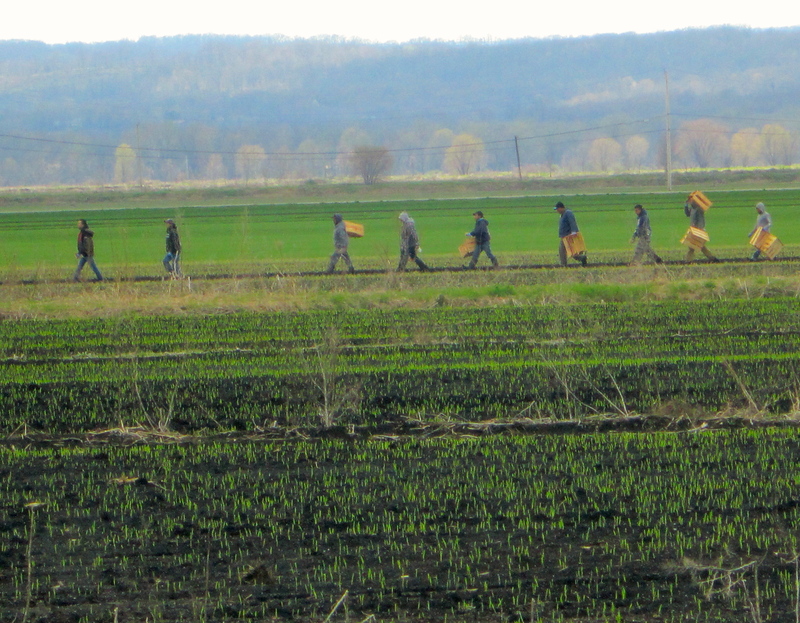 Starting in April armies of bright green shoots march across the black dirt. By July, they’re standing tall. And in August the stalks wilt, their purpose served. 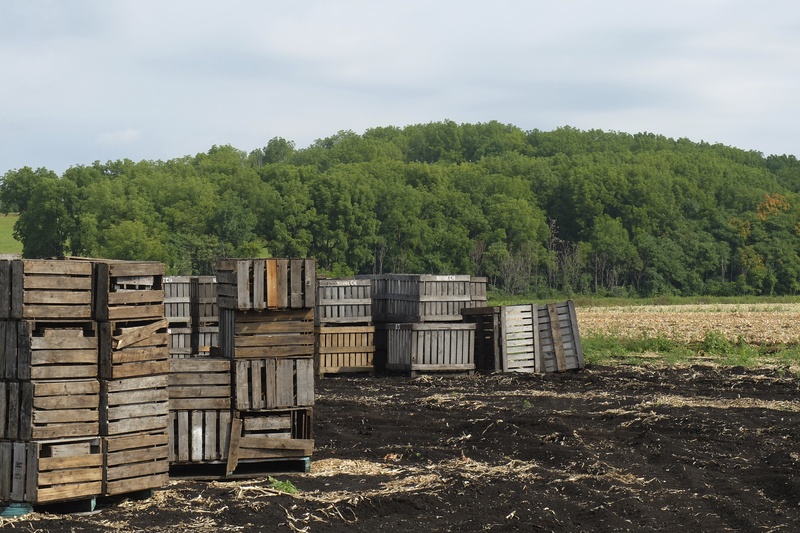 In September the heady scent of onions pervades the air and the onion crates are stacked high in the fields, waiting to be stored or transported to market. 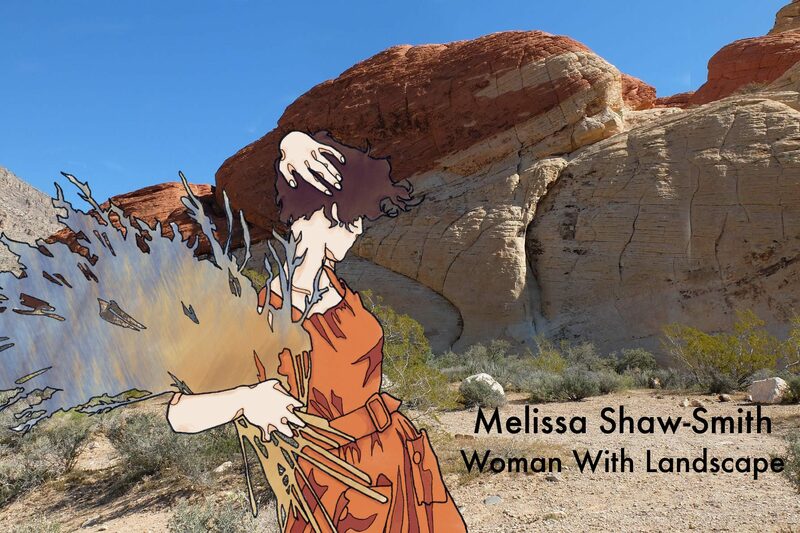 This entry was posted in Photography, Poetry, Travel, Woman With Landscape and tagged Black Dirt, gardening, nature, Ode to an Onion, Onions, Pablo Neruda, photography, poetry on September 7, 2014 by Melissa Shaw-Smith. Great pics. Went out and got a white and red onion this morning from the garden, diced them up, cooked them in butter, and made a great omelet after reading your blog. thanks. Had a girl who sat beside me in 6th grade whose father gave her onion sandwiches every time she had a cold. I’ll never forget her! Senor Neruda is one of my heroes. What a pleasure to see this morning. Glad you enjoyed it–me too! I can just smell ’em!! Marginally better than skunk, but equally over powering en masse. I very much relate to the onion, for deep reasons…and hope someday to be a rosebud, unfolding layer by layer with aromas sweet and fragrant rather than harsh and bringing tears. But don’t forget, onions are so sweet and delicious when handled just right. How lovely to see an appreciation of onions. They are so often overlooked, but they add so much to meals. The pictures are lovely. And thank you for the Neruda poem. I had no idea he had written about onions. You are so welcome. Thanks for the nice comments. Nice photos! 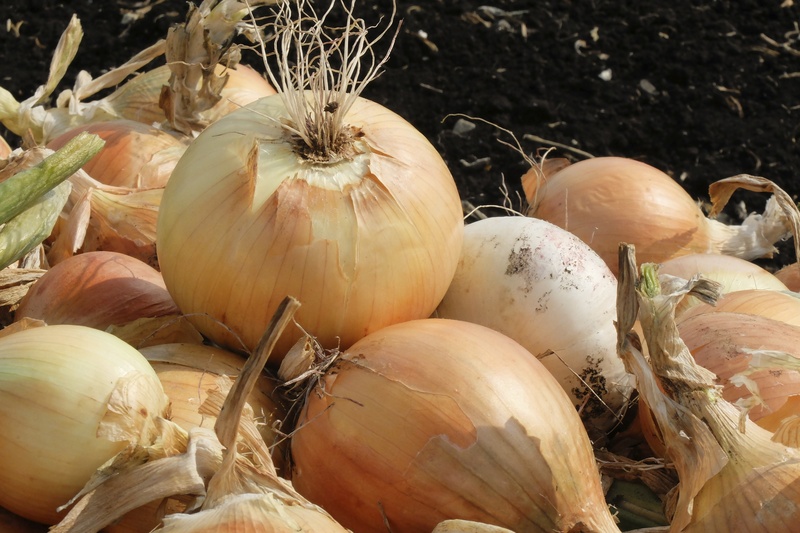 Those onions look so fresh – I want to grab one and use it in a salad or a pot of soup. A lot of dishes would be so bland and boring without onions. I once met someone who was allergic to onions. I felt very sorry for him! Absolutely loved this blog, and the poem you found to go with it just perfect. I’ve been thinking a lot about strawberries lately but am nowhere near a strawberry field. Onions are my favorite food. 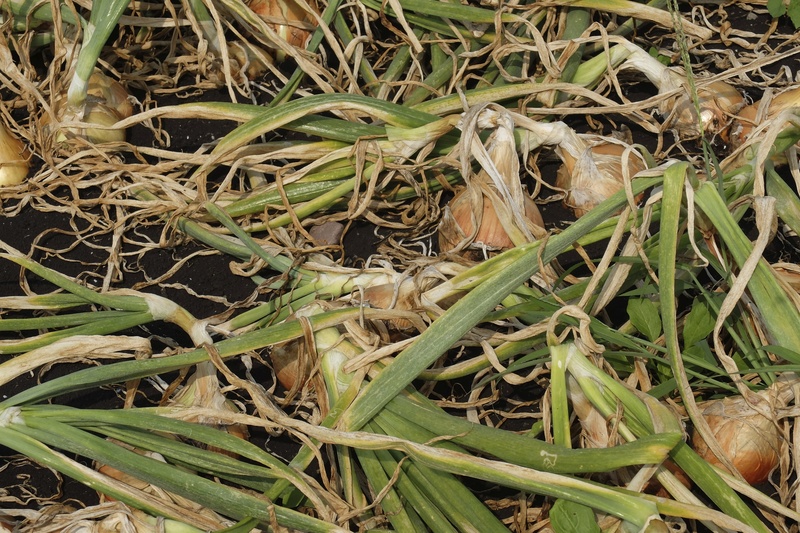 Would love to sample these pungent New York ones, though our midwest onions are mighty fine. Neruda has it exactly right. Onions! What a delight. I can’t cook without them, or do a salad for that matter. But that black, black soil. How I long for it in my allotment. I can feel seedlings trembling with excitement as they grow in that lovely stuff. I however, have claggy, grey, rotting down fossil volcanic ash to grow things in. 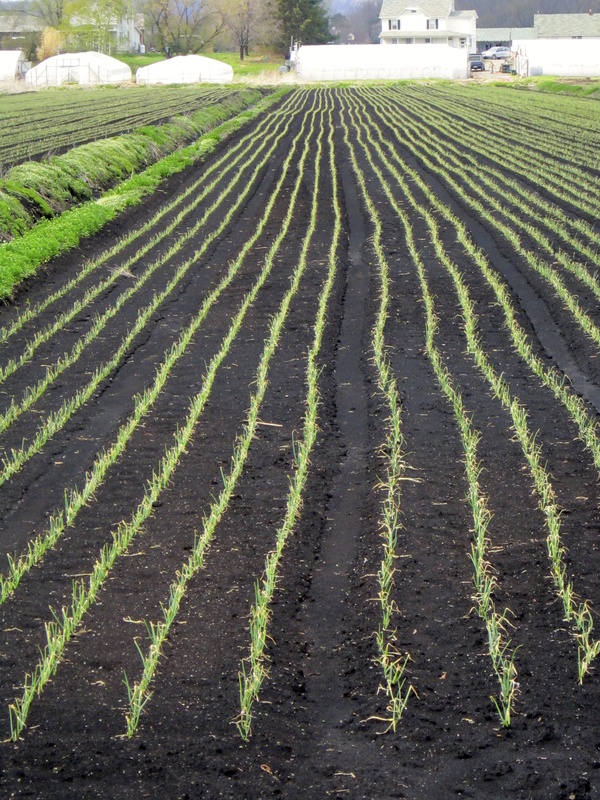 It’s a big challenge – especially to onions that more often than not rebel, and grow no bigger than marbles. Hey ho. We even have a raw onion eating contest in our area. If that doesn’t bring tears to your eyes . . . Thanks for reading! I appreciate your comments. Yes, I couldn’t begin to compete with Neruda in the poetry department, so I gave him the last word on onions.